Kutaringin Palace or mostly people called Kuning Palace was built in Kutaringin Sultanate era and have the form of house on stilts. This palace located precisely side by side with "Tugu" or landmark statue of Pangkalan Bun City. If you come to Pangkalan Bun, don't miss out to take city tour and visit Kutaringin Palace. Kuning Palace is only 4 kms away from Swiss-Belinn Pangkalan Bun and can be reach for about 10 minutes driving. 1. Bangsal, a place to receive Empire's guests. 2. Rumbang, a place for meditation. 3. Dalem Kuning, central regime and King's residence. 4. Pedahiran, Empire's dining room. Not all of the buildings are open publicly. 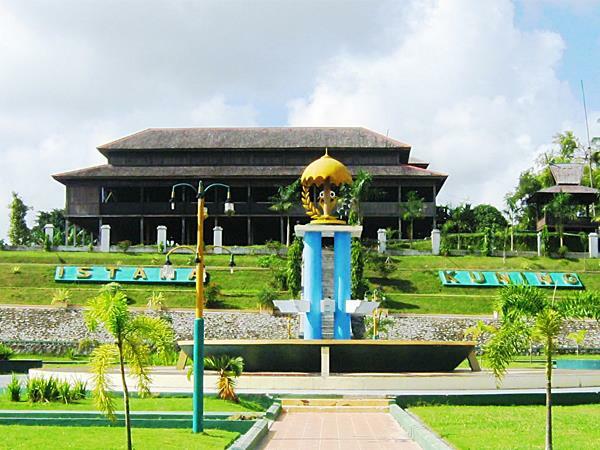 Kuning Palace is a perfect educational tourist destination in Pangkalan Bun.